LHHH’s Masika Suing Co-Star Over THOT Billboard!?! If you watched Love & Hip Hop Hollywood then you know Nikki Mudarris, Hazel E and a few others hated Masika and now LHHH’s Masika SLAPS Lawsuit on Co-Star Over THOT Billboard! Like Angeline, who used to have billboards all over Hollywood, has now been replaced by a new queen, but this is NOT one to be proud of. “Love and Hip Hop” star Masika Tucker is up in lights on the Sunset Strip, and lots of people who see her now think she’s a whore. Masika is FURIOUS with her co-stars over the THOT billboard that was put up during the filming of LHHH. If you remember Nikki told Masika NOT to come for her or else. 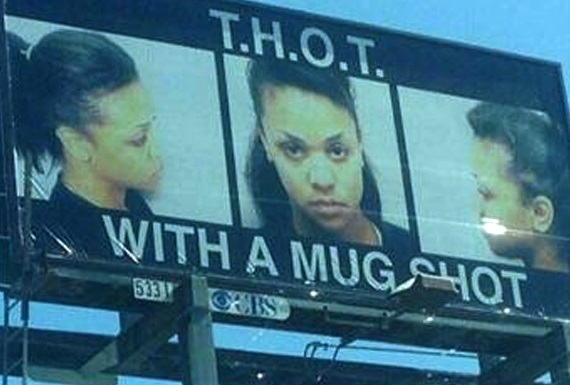 Masika didn’t listen and this is what she got, a billboard calling her at THOT. 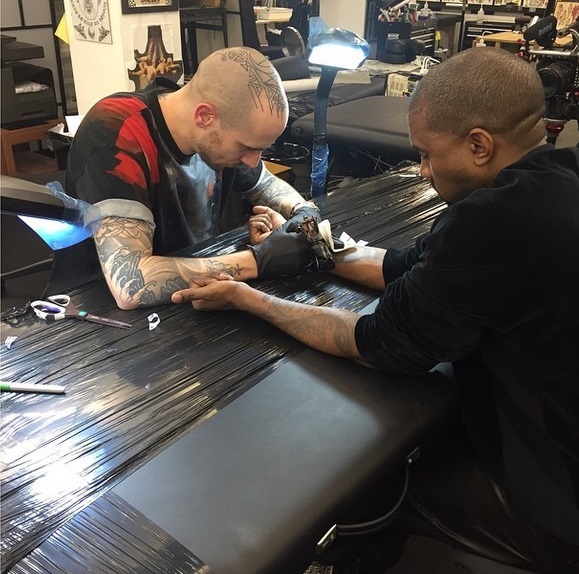 Love and Hip Hop” star Masika Tucker is up in lights on the Sunset Strip, and lots of people who see her now think she’s nothing but a hoe trying to sleep her way to fame. It appears that Masika is suing over the billboard on Sunset that could be taken as defamation of character. The whole brouhaha is over a couple of strip clubs. A guy named Sam Sharif owns Ace of Diamonds in Vegas and Metropolitan Nightclub in WeHo, which has an Ace of Diamonds night every Monday. Sharif hired Masika to promote the WeHo AOD, and part of the promotion was a big, splashy billboard on the Strip. It didn’t sit well with Masika’s enemies, “Love and Hip Hop” stars Nikki and Marcelle Mudarris. Sharif says that billboard has torpedoed his business because he was catering to high-end clients and now people thinks it’s a sleazy club advertised by a whore. He also says people think he’s a fraud and really doesn’t own the club. Money cures all, and Sharif is suing for a million bucks.